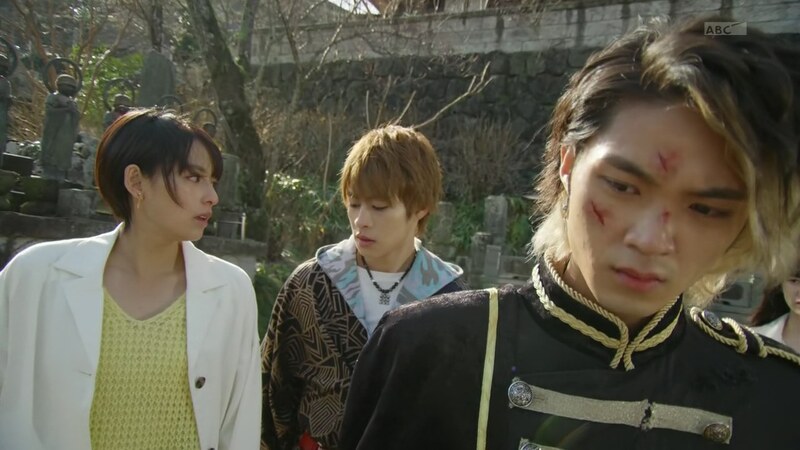 Takeru asks Alain for help in retrieving Makoto-niichan’s body. Alain agrees, but Akari notices his smirking. She tells Takeru he cannot go just yet. Meanwhile over at Deep Connect, Igor tells Adel that the Demia Project is moving smoothly, but also that Javert is such a failure. Adel tells him to ignore Javert and just focus on the next steps of the project. Igor tells Airplane Ganma that’s his cue. Next morning, Takeru tries sneaking away with Alain, but the others see him. Takeru apologizes and says he just wants to save Makoto-niichan. But Akari bluntly says she will not allow him to go until she knows Alain’s true intentions. Alain insists his only intention is to save his buddy, but Akari thinks he’s got something more important he wants to deal with. He does not deny it and says he wants to carry out his father’s ideals and create a perfect world. Akari thinks he’s lying to himself. She asks what he really wants. And until she knows the answer, she will not allow Takeru to go with. Alain tells them to do what they want and leaves. Kanon and Cubi follow. 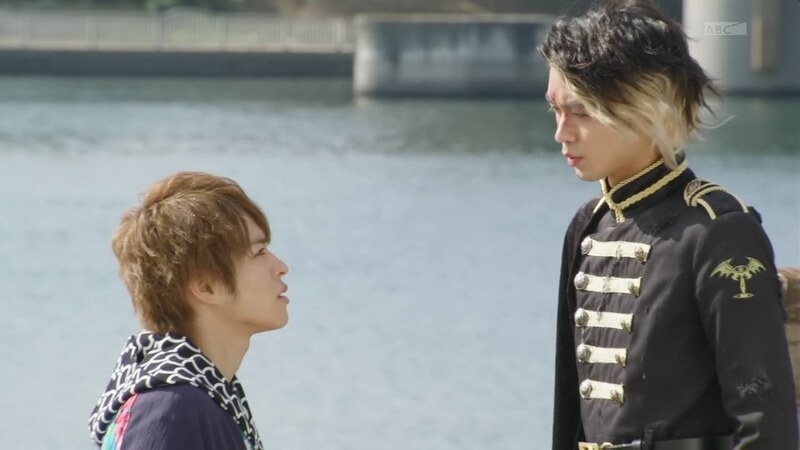 Takeru admits that he can’t fully trust Alain either, but he believes Alain understands Makoto-niichan’s feelings. Across town, Airplane Ganma flies out and begins painting the sky red. Literally farting out red air. This is while the Deep Connect CEO gives a presentation for “Demia,” a new product that will enable people to connect to anyone and anything at any time! Not only will people become a part of that world, they will BE the world. A perfect world! Akari watches the live stream of the iPhone Demia announcement and it only fuels her suspicions of the company. Suddenly, Narita and Shibuya run into the living room to tell them about the red sky. 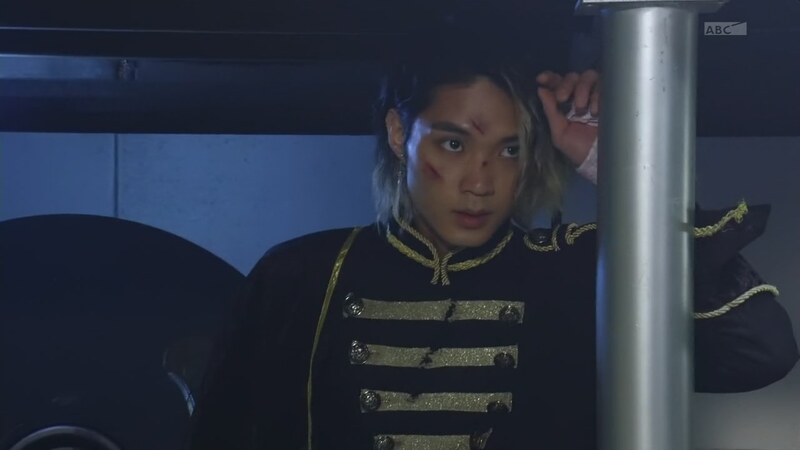 As Javert stumbles around town wondering what the hell is going on with him, Takeru-tachi head out to see the frightening red sight. Akari thinks there’s a perfectly scientific explanation to this and just needs an air sample from the red sky. 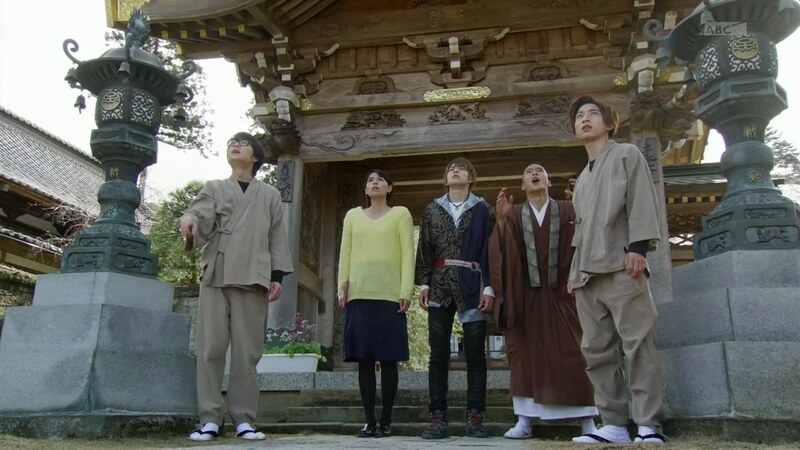 Takeru and Onari head up to the Toei roof. 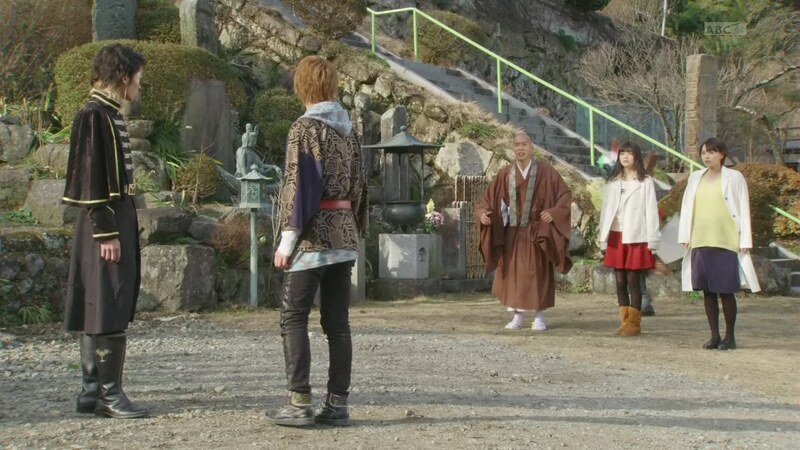 But it’s still too high for Takeru, so he calls Yurusen to help out. Yurusen doesn’t want to at first, but Takeru promises some of Grandma Fumi’s takoyaki. Yurusen quickly gets some sky. But as he flies back down, he gets shot at by Airplane Ganma. 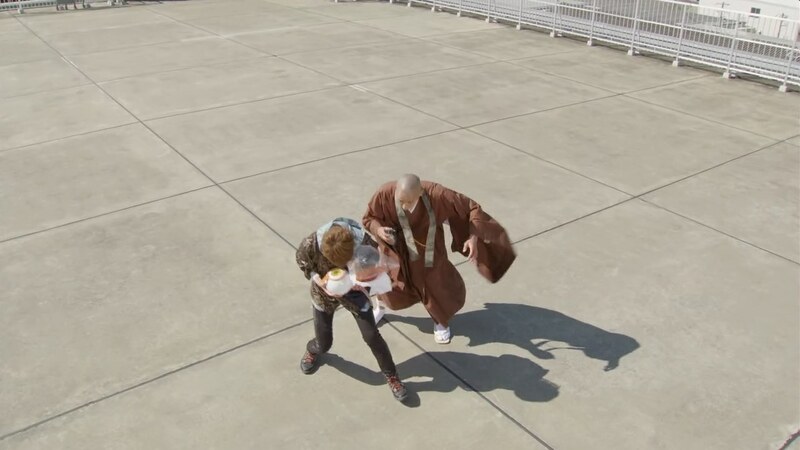 Yurusen falls into Takeru’s arms. 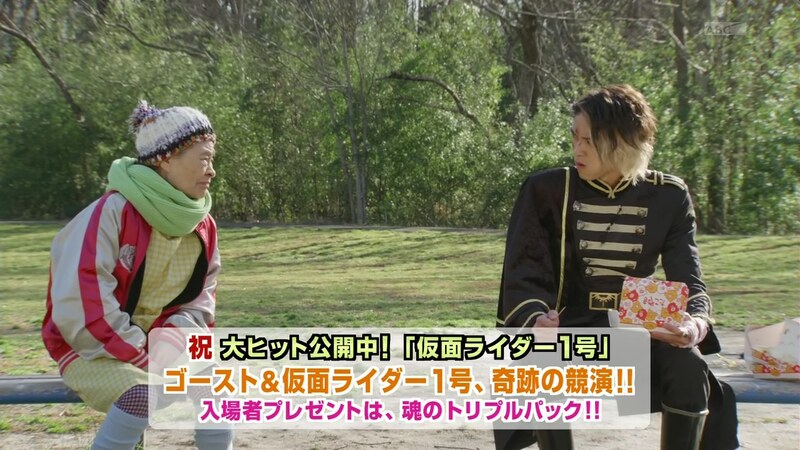 Takeru hands Yurusen and the air sample to Onari before he henshins to Billy the Kid. Airplane Ganma quickly flies off, so they head back to the lab to give Akari the sample. Akari says she’ll use Papa Tenkuuji’s monolith journal to help her analysis. Onari heads out to follow up on the red sky. Adel visits Makoto’s body and says he will be very useful soon. Grandma Fumi sits with Alain who has been talking to himself about absurd things like Akari’s assertion that he’s having doubts. Grandma Fumi notes that Alain has said “absurd” 54… now 55 times while also eating ten boxes of her takoyaki. And Alain is definitely feeling those ten boxes in his stomach. Kanon, who is painting with Cubi, hurries over to make sure Alain is okay. He can’t believe how inconvenient human bodies really are. Grandma Fumi laughs at Kanon’s strange, funny boyfriend. Kanon tries telling her Alain-sama is not her boyfriend, but she suddenly gets a headache and feels dizzy. Cubi mentions that he does not like this ugly sky. Alain sees it and he and Cubi hurry Kanon back to the temple. Takeru and Akari come see Kanon. Alain tells them the sky must be making Kanon this way since she was also affected by their special, perfect atmosphere in the G World. Takeru remembers the G World sky. Akari thinks they must be starting to change Earth to become like the Ganma world. Alain knows this is Igor’s work. Takeru, Alain and Akari leave Kanon with Cubi. Alain says she will only get worse like this. Akari wants to make an antidote for the red sky effects, but the analysis will still take some time. Takeru knows what they can do! He asks Alain for his luminary Eyecons. Sure, Alain says. He hands them over to Takeru and they head down to the lab. Alain is surprised to see a monolith there. 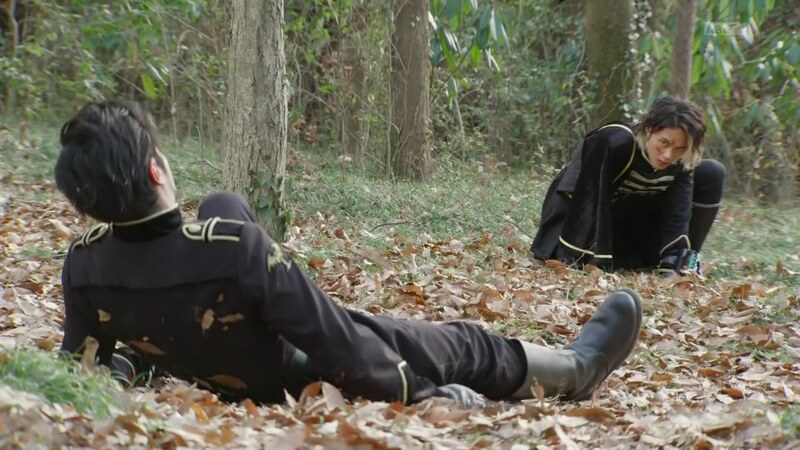 While Takeru sets the Eyecons down, Alain thinks to himself and smiles again. 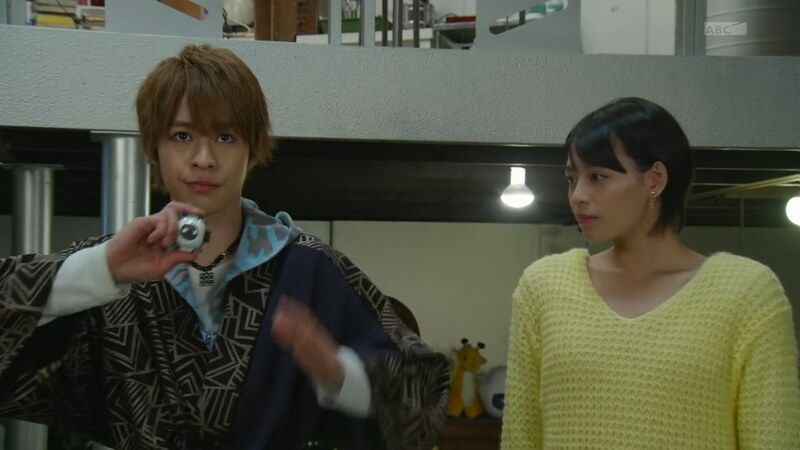 Akari notices it and points it out, saying Alain must be plotting something. Alain denies it and thinks Akari is a very annoying, perceptive woman. Takeru is done setting up just as Onari and Shibuya come down with their red sky findings. Akari tells them about Takeru making his wish. But Takeru says instead of asking to revive, he will asks to eliminate Kanon’s sickness. Alain is surprised at hearing Takeru putting Kanon’s life before his own. Akari suggests Takeru make a wish for five more wishes. He thinks that’s a good idea. He henshins. Akari tells everyone else to take cover as Takeru starts the wishing process. Adel heads to the Prayer Room, reaffirming taking his father’s place in creating a perfect world. 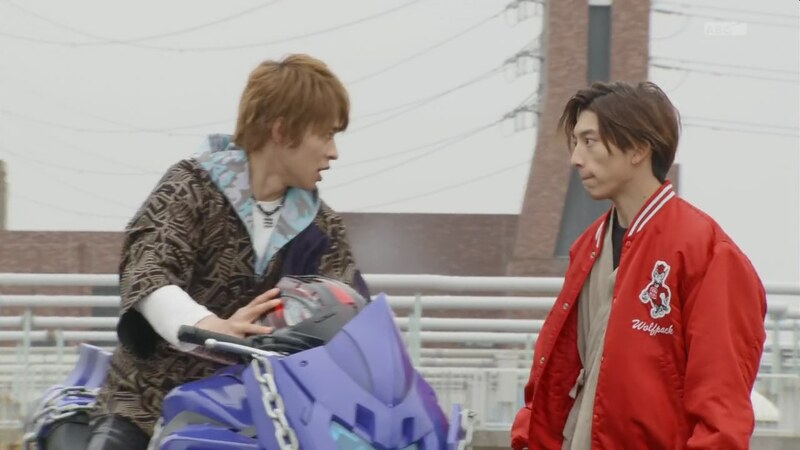 Just as Takeru is about to make his wish, Alain moves to stop it. Suddenly, huge energy shoots out of the Prayer Room monoliths(?) 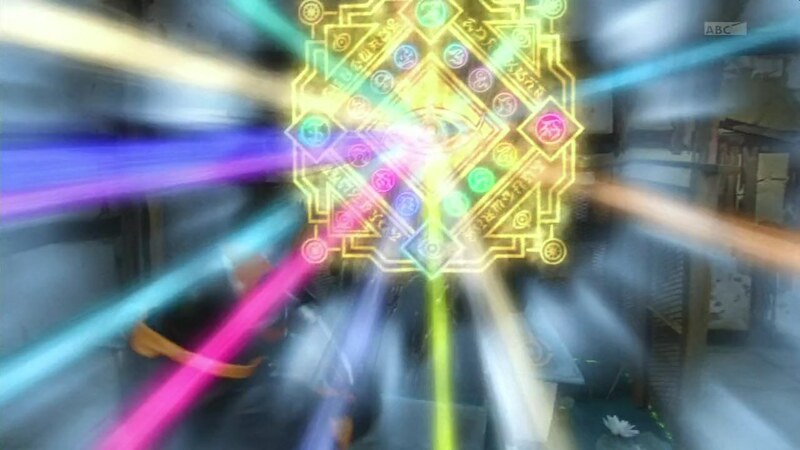 and it shoots right out of the mandala in the lab, throwing Takeru back and forcing him to dehenshin. The mandala disappears and the Eyecons fall to the floor. Back in the Prayer Room, Adel wonders what the frak is going on when suddenly a monolith sets itself on the floor and shoots out ribbons of fire. Adel suddenly gets some kind of SHOCKING vision. Cubi hurries down to the lab to tell them Kanon’s gotten worse. Narita calls Shibuya to tell them he’s found Airplane Ganma. Airplane Ganma notices Narita and chases after him. Takeru hurries out, taking Makoto-niichan’s bike instead of his own. Alain says if he can’t use his Eyecons, he’ll just use Takeru’s power. But Javert appears, wanting to accomplish his execution mission once and for all. Javert and Alain henshin and battle. 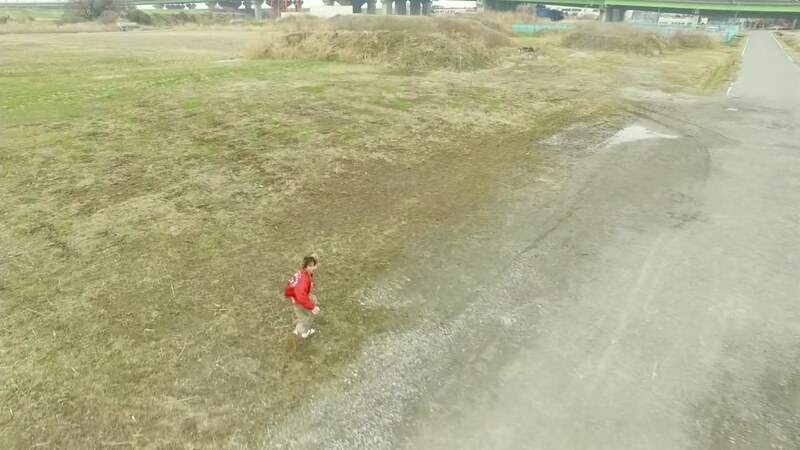 Takeru reaches Narita just in time and goes Grateful. As Airplane Ganma tries to fly up and escape, Takeru calls on Benkei, King Tut and Musashi to hurl him higher into the sky. Takeru knocks Airplane Ganma back down to Earth and unleashes an Omega Drive to finish him off. 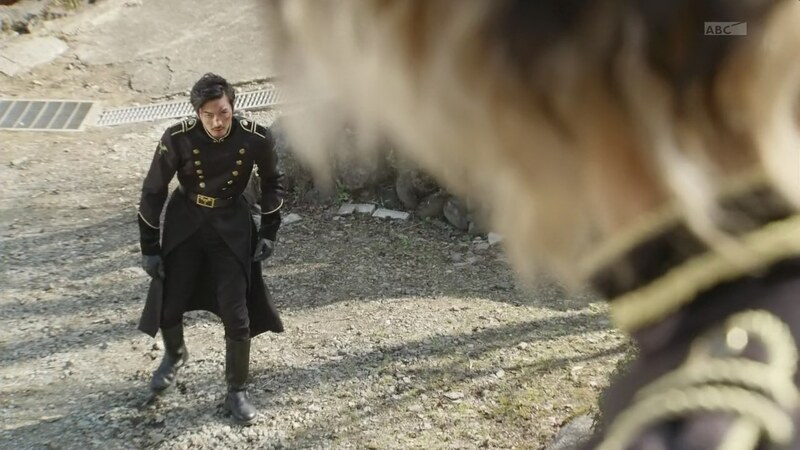 Meanwhile, both Alain and Javert feel the limitations of a physical body. Javert gets up and leaves, saying they both look pathetic. Alain thinks the red sky is affecting him too. He’s got to hurry, plus he wants to take care of that woman Akari. Akari continues her “atmospheric gas” analysis as her nemesis Igor happily watches his work going according to plan. 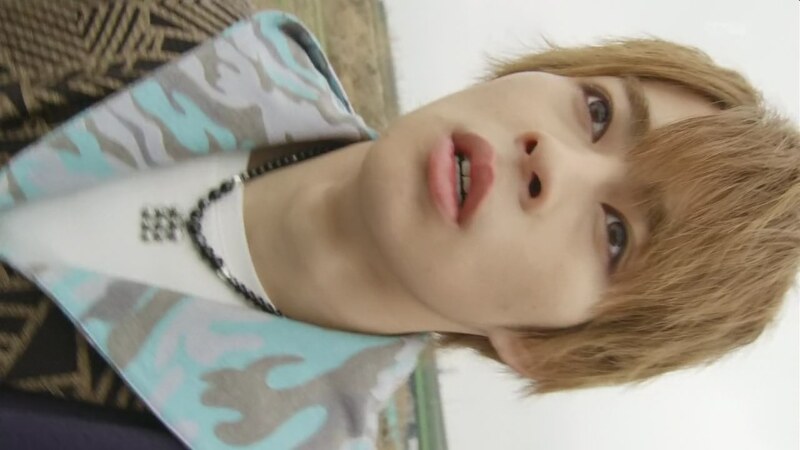 Takeru wonders why the sky is still red if he’s already defeated the Ganma. This was a solid episode I think. It felt very much like a set-up episode though. So hopefully Episode 26 is amazing or something. Or at least we get more big answers. Alain wanting to go poo poo was actually very amusing. We need to get to him learning how to be human as soon as possible. It should at least be fun I think. But I guess they’re not going that route just yet. Though all the Grandma Fumi and takoyaki stuff is interesting if being used to contrast Alain’s conflicted inner thoughts. Also great to see Grandma Fumi, Narita and Shibuya in the thick of things even when they’re just recurring characters and not full-on supporting characters like Onari, Akari or Kanon. I really geek out over awesome drone shots on any TV show. 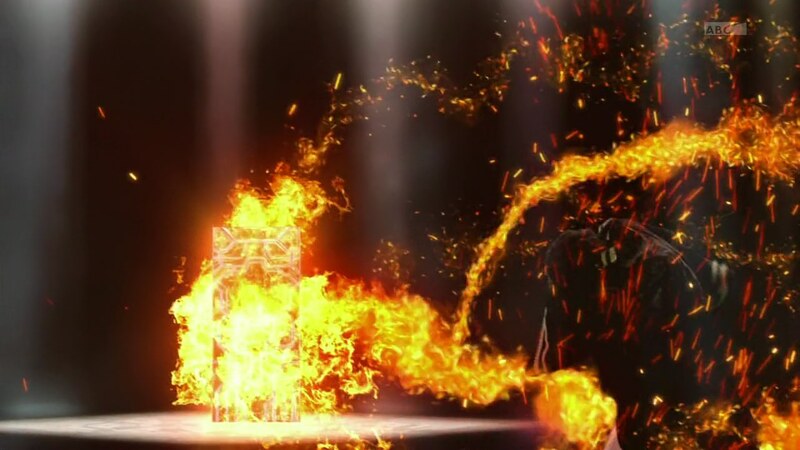 And Toei has definitely been using them more and more on both Sentai and Kamen Rider. Those scenes of Airplane Ganma chasing after Narita and Takeru were great. It adds something refreshing to the usual fights and battles from over the years. Overall, a solid episode. Nothing too outrageous either way. 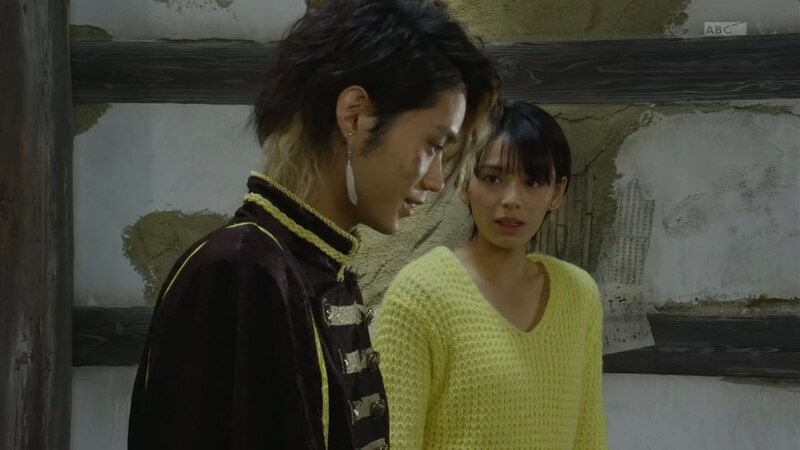 ← Recap: Doubutsu Sentai Zyuohger, Episode 8 – "Can I touch it?"